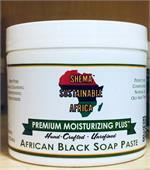 Shema 100% Natural African Black Soap Paste For Face, Body & Hair. Shema Hand, Nail, & Cuticle Cream contains unrefined Fair Trade Shea butter and a blend of natural oils to help restore and provide long-lasting moisture while conditioning dry hands and cuticles. Also helps strengthen nails and stimulate nail growth. Shema Premium Moisturizing Plus Lotion is effective for normal to dry skin. A natural moisturizer which is non-greasy and quickly absorbed into skin. 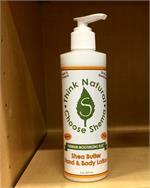 Shema Unrefined Premium Fair Trade African Shea Butter is effective for normal to dry skin. A natural moisturizer which is non-greasy and quickly absorbed into skin.